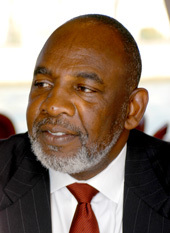 In 1999, he created the Pathfinder Foundation for the education and development of Africa. Three years later, he founded the solar energy research laboratory of Bamako in Mali. He is involved in programs for the development of Africa. On the 20th of February 2006, he was appointed the head of Microsoft Africa. Cheikh Diarra is currently based in Johannesburg where he works with Microsoft South Africa and WECA (West , East and Central Africa). Please help me applaud this proud African scientist, hailing from Segou, in the heart of the Bambara kingdom! 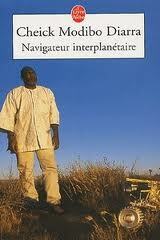 If you have a chance, check out his book Navigateur Interplanétaire, which is available in French, and other languages. Other sites such as Grioo.com, africansuccess.org, and Wikipedia will provide you with more biographical information about this world-renowned Malian scientist! C’est une véritable université ce site. Persévérez dans cette voie. Dans quelques années vous aurez construit un tel espace. Merci pour vos encouragements… Ils me vont droit au coeur! Very good information can be found on this blog. Thanks for linking to the blog Alice, and keep visiting. Wow, marvelous blog layout! Нow long have you bеen blogging for? yoս made blogging loоk easy. Τhe οverall lоok of yߋur website iѕ excellent, let alone tҺe content! Ahaa, its good discussion concerning this article here at this blog, I have read all that,so at this time me also commenting at this place.